One of the hardest thing about dieting is knowing how much of something to eat. Another hurdle is not having the treats that you enjoy. Both of these can totally hijack your diet plans! We have a solution! Portion control! 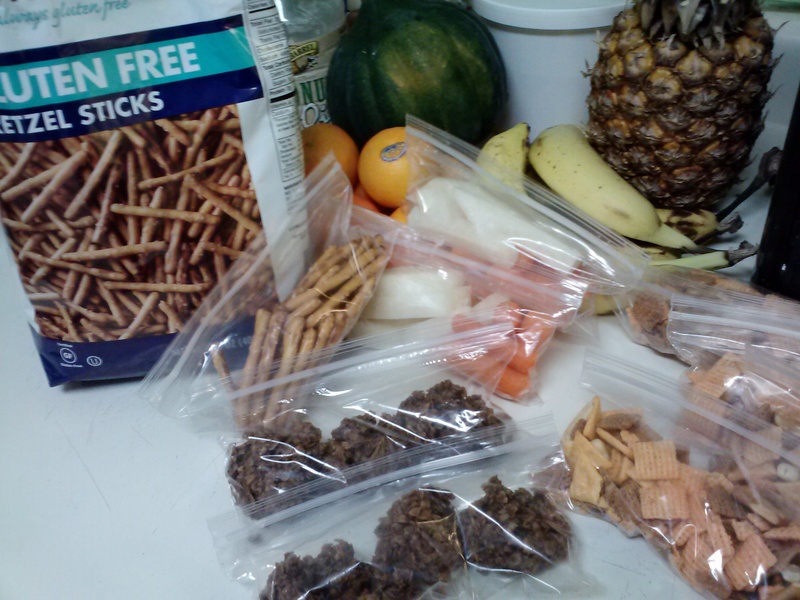 I use little snack baggies to help me control what I eat. I take a bag of pretzels (gluten free for me!) and divide into several little bags. This stretches the big bag further, helps you control how much you eat, and is a great way to create quick snacks! You can do this with many types of snacks including cookies, pretzels, chips, fruits, veggies and anything you can think of! Gives you choices, which is very helpful when you diet. What are you putting in your portion bags?